"I" and "you" are but the lattices, in the niches of a lamp, through which the One Light shines. "I" and "you" are the veil between heaven and earth; lift this veil and you will see no longer the bonds of sects and creeds. When "I" and "you" do not exist, what is mosque, what is synagogue? what is the Temple of Fire? An introduction by editor David Fideler discusses Shabistari's work in terms of its historical setting and the traditions of Persian Sufism, Shabistari's relationship with the thought of Ibn 'Arabi, and the significance of Sufism in the contemporary world. Mahmud Shabistari (died circa 1340) is one of the most celebrated authors of Persian Sufism. 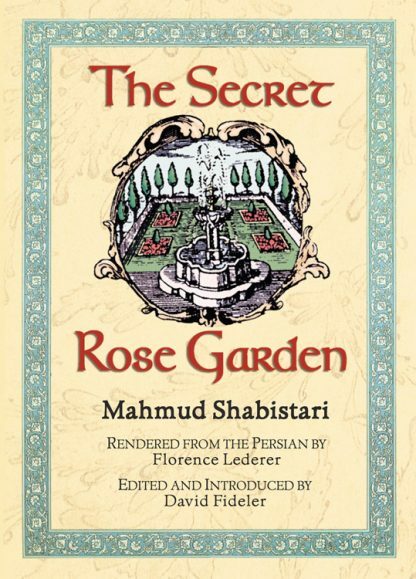 Because of his gift for expressing the Sufi mystical vision with extraordinary clarity, his Gulshan-i raz or Secret Rose Garden rapidly became one of the most popular works of Persian Sufi poetry, and is recognized as a central work of that tradition.